To each their own, of course. But something about the near-universal TLoU love leaves me feeling a bit disenfranchised with the gaming community at large. Maybe I’m just out of touch. 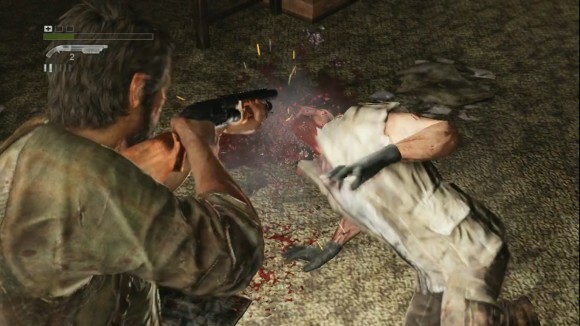 The Last Of Us is, when boiled down to its essential components, a perfectly average third-person action game. It plays identically to all the other not-bad third person action games. It adds nothing new or interesting or different, it just does the normal stuff well. Then, on top of that, it has above-average storytelling. This is what we want from our games? This is the pinnacle of our beloved medium? What kind of message does this send to games developers and publishers? I don’t hate The Last of Us. I don’t think it’s bad. Gameplay-wise it’s a tried and tested formula, and there’s nothing wrong there. I don’t need to play a game that does that ever again, so I’m surprised that others find it so exciting. The truth is, I don’t believe that any of the TLoU fans really love it for its gameplay. They love it for its story. But, it doesn’t tell its story in a ‘game’ way, it tells its story in a cinematic way, which is something we really should be moving away from already. Besides which, when we talk about how good the storytelling is in The Last Of Us, what are we comparing it to? If we’re comparing it to games which tell stories through gameplay, it’s worse, because it’s a weaker approach not suited to gaming. If we’re comparing it to other games with cut-scenes, it’s better, because it’s not awful. That’s hardly high praise. If we compare it to cinema (which is the most appropriate comparison), it’s much worse, because all that pesky gaming gets in the way, and in all seriousness the script really doesn’t stand up to the better examples of film or television. So how good is the story, then? It’s alright. I can see why it would be seen as better than, say, teen fiction. Not sure why there are so many adults getting worked up about it though. I guess these days adults are meant to be reading Harry Potter and the Hunger Games, and that’s just the modern way. The day that TLoU‘s DLC Left Behind came out I was playing Remember Me. The combination of reading yet more absurd over-the-top praise for this average game whilst playing a largely-ignored, very similar but much better game left me with the feeling of disappointment that inspired this article. Remember Me is a third-person action game with decent storytelling. Not Hollywood-good, or The Last Of Us-good, but better than games-good. The action is strong and it has some new ideas that work well and are interesting. Gaming wise, it’s a superior product to The Last Of Us. I don’t think it’s a brilliant game, but it is very enjoyable. What I don’t understand is why The Last Of Us saw such an overwhelming response whilst Remember Me didn’t. The only answer to that question that makes any sense is that people en masse prefer the cut-scenes and story to the gaming that goes in between them. That’s really quite depressing. So The Last of Us might have ‘won’ Game of The Year, but if story is the criteria we’re judging that on, I’m not sure how much of an honour that is. Remember Me wouldn’t be my GOTY either, but I do know that if I had to pick one of the two, I’d pick the one with above-average gameplay and decent storytelling over the one with average gameplay and excellent storytelling. Slowly but surely people are starting to see my point of view. A point I have been banging on about for years but been told I am idiot who hates games. To be fair I was taken by Last of Us but thinking about it, on the toilet, yesterday. I enjoyed the experience but the further I get from this game the less I would ever entertain ever playing it again. Perfect timing what with this game picking up 5 BAFTAs yesterday. I've played the first couple of hours of 'The Last of Us' and put it aside. Maybe cos I came to it late I was expecting more from it but I found the game part of it to be pretty average too. I looked at Remember Me when it came out and thought it looked kind of interesting, but I wasn't willing to pay full price for a game I knew next to nothing about. Of course, I haven't played The Last of Us, either. I'm think I'm a little bored with cut-scene-heavy third-person action-adventure games, i.e. the modern consensus on what a video game is like. Screw you guys, I'm off to play Civ5. Very well said Dylan. I enjoyed The Last of Us for its focused and sensitively handled story as well as the solid if familiar gameplay, despite having issues with the skill upgrades, the jarring invisible/silent sidekicks, the difficulty spikes and that weird/stupid sonar ability which I promptly disabled. I also thought the writing was of a good standard compared to decent TV shows and films, and that the gameplay married up with the tone and climate of the world and story well, even if it was relatively limited and linear. I will say though, the ending was superb; daring even. Nevertheless, after seeing it clear up so many BAFTAs it did leave me thinking 'Is that really the best the medium had to offer in 2013?' Don't get me wrong, I loved The Last of Us, but I get the impression that all it takes these days to be in the running for all the GOTY lists and awards is functional unobtrusive gameplay, stellar production values, some cinematic cutscenes and a good ol' dollop of the feels. I wish I'd played more to have a say on the other nominees, but when you've got the likes of The Stanley Parable and Papers Please in there as well it just leaves a bad taste in my mouth that we're not celebrating (read: awarding) games that do more with the very thing that makes gaming unique: interactivity. Movies interspersed with action, a few puzzles and exploring bits are all fine and dandy — there's room for everything here — but I don't want the medium to get stuck ploughing this same furrow, it can do so much more than that — it has already. 'functional unobtrusive gameplay' – dammit, why didn't I have your words to use when I wrote the article? That is the best phrasing I've heard for what Naughty Dog produced. Other than, y'know, 'gaming perfection'. Firstly, I think that achieving a 'better than games' level of writing is nothing to be sneezed at. Most games are not just boring or weak, they're actively so terrible that automatically skipping all cut scenes in every game you play is an entirely rational course of action. I'd rather be killing people for no apparent reason than be dragged through a field of generic manpain and terrible voice acting. So creating a pair of characters that who elicit an emotional response other than 'shut it you plum' is really quite a singular achievement. Secondly, I think the reason why The Last of Us gets so much writing-related kudos is that it's a game that introduces you to the characters and allows you to work out the nature of their relationship without having everything explained to you in excruciating detail. 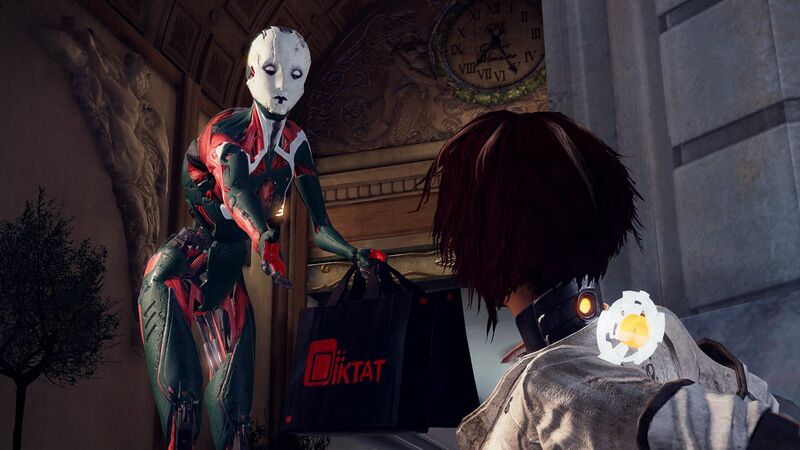 That's a level of technical sophistication that most video game narratives simply don't bother aiming for and so the game's decision to a) use those kinds of narrative techniques and b) do it well really does deserve some kudos. Thirdly, I don't think the story actually works as written. I remember listening to an interview with one of the writers who pointed out that the ending was essentially something they bolted onto the game once it was completed. In other words, they wrote the game, built up the narrative and relationships to a certain point and then decided to finish at another point entirely. I don't think the ending works because I think it's actually under-written… more could have been made of the man's psychological dependence on the girl and the fact that this dependence is in no way shared by the girl. So I agree that it's not a perfectly written game and I agree that a lot of the hype speaks of a lack of awareness as to what constitutes good writing in general, but I still think that it's much better written than your standard game and so deserves at least some of the praise it's getting. I'd not heard that about the ending but by jove does it ring true to me. I hated the ending. About the only way I felt that it worked was that it tied in thematically with the total suppression of Ellie's personal agency – by all parties, including Joel. Because even surrogate father figures know better than any teenager, I guess? Interesting point about dependence. I hadn't read that into it. Playing devil's avocado for a minute, I wonder if Ellie is dependent on Joel but is unaware she doesn't necessarily need him. Throughout her chapter she is fighting to escape and return to him, to nurse him back to health because she cares for him and believes they rely upon each other, and when he appears she falls into his arms – apparently unaware that she did not need him for any of what she did? What The Last of Us is probably best at is bringing to the table a level of technical sophistication sufficient to support the level of dramatic and narrative sophistication they were pursuing. And it's not perfect, of course, but it is very well-crafted and the range you get from their facial expressions is significant. Of course it is still a story primarily told through cutscenes. I wonder if The Last of Us will be the pinnacle of – or the first sign of a plateau for – the filmic narrative in videogames? As for its game-ness (I can't bring myself to type 'l***c'), well, I did it in three sittings over three days. I was ill, but at no point did I get bored. The Last of Us does what it does very well, even if its ambition doesn't extend beyond slick proficiency where the gameplay is concerned. I don't think that any of The Last of Us's achievements should be played down. I just don't think it deserves anything more than a nod and a round of applause, and a small collection of firm fans backing it up. It's a combo-driven beat-em-up (with dodging system lifted from the Arkham games, of which I approve), with extra flair outside of that like some parkour stuff and a gun you level up as well, but the real meat is the combos. You create your own combos (up to four). The only restriction is that each one must begin (uniquely) with one of the four face buttons, so that the game can always differentiate them and you can create whatever the hell you want without confusing it. You get different types of pressen (ie. individual entries in a combo string) to play with, basic examples being do damage, regen special meter, gain health, stun enemy, etc. Then you get more advanced ones to play with like multiply the effect of all subsequent pressens in the chain, apply the bonus immediately before this pressen to the one after it, stuff like that. You have limited pressens to organise around all your different combos, so it's pretty strategic setting yourself up with something that works well, and each one is unique even if the difference is mild, ie. 'Do 5% damage' compared to 'do 15% damage'. They also come in different colours, and you get different bonuses for linking colours together, as well as other bonus types for creating high amounts of variation, so you have to tinker a lot to get it as powerful as you need it to be. Once I was set up, I had four distinctly different combos that served different purposes. They were all 10-or-so buttons long, and had grown a lot since their 2-button origins at the start of the game. You don't need to finish a combo to get the results you've already entered, but they automatically scale in power the later in the chain they come, so it's always in your interest to put powerful stuff at the begining and the end, so if you finish it: great success, but if you don't, at least you got some of the good stuff out. Even though you create your own combos and reuse the same four a lot, it keeps things interesting because your four combos will grow and change as you unlock new and exciting pressens to use, and also, you're always swarmed with enemies and need to dodge their attacks. The long combos are long enough to warrant two or three dodges mid-combo (which you can then continue with after the successful dodge), and this mechanic inserts surprise button-presses in with little warning, to keep you on your toes. You also have to avoid dodging into another attack, with takes a lot concentration. It's not an easy game, IMO. There's absolutely loads of different combos you could create though, it's a very creative process, as well as a very tactical one. Those examples above don't do them justice because it takes a lot of tweaking and lightbulb moments to achieve 'do lots of damage', as simple as it sounds. Outside of the combat, there's an interesting sci-fi politics storyline to keep you going but the best bit is remixing people's memories. This is a sort of mini-game, but it's mostly creative rather than being skill-or-puzzle based. You hack people's minds and replay a key memory from their lifetime, then fast-forward and rewind around it, looking for ways to change it to your benefit by changing key elements (or sometimes very small elements that butterfly out). There's some mild puzzling to it as if you rewind through a change, you'll erase it, so you have to plan out your changes then figure out a way of doing them in the right order (reminds me of those Braid levels where the direction you walk in affects the flow of time), but mostly those scenes are pure sandbox 'look what I can do!' things. Anyway, waffled for long enough after saying that I wouldn't. Those are some reasons why Remember Me is pretty cool. I said the other day that I'd not yet replied to this comment because I felt it deserved more than "this game sounds like something I'd enjoy". Well, now I've read your breakdown in depth so here's the extended version: "this game sounds like something I'd really enjoy!" It was a PS+ title for you, right? I played Remember Me on PC (and finally finished it this summer). This… doesn’t describe my experience at all. There are four combos, but they all have fixed slots: the first one is three slots long (all punches), and they get progressively longer; I think the last is ten. The slots come in two flavors: punches or kicks (the first two moves identify the combo). You unlock combos and pressens as you level. Each pressen can have one of three effects: deal damage, regenerate health, or decrease cooldowns for special moves (S-pressen). The effects do become more powerful the further in they are in the combo. And that’s it. It’s really quite underwhelming. The most interesting combo-related thing was when I devised an attack to take down the shielded enemies that damage you when you hit them, by creating a combo that regenerated more health than punching them cost. There is a combo lab DLC that adds more options. I’m not sure how much it changes, as I didn’t get it. It kinda sounds like PC crowd got short-changed on that front. Ellie has quite a clear arc. She's introduced as a burden, emerges first as a person and then as a dependable human and finally as a force to be reckoned with. The game actually handles this arc really well as every time you're given control of Ellie, you're able to accomplish more until, by the fight in the burning restaurant, you're no longer playing a weaker version of Joel but a character with her own distinct strengths that demands her own distinct playing style. The wonderful thing about this is that there's not a trace of ludo-narrative dissonance: Ellie's emergence as a person is right there in the mechanics and it's obvious even if you skip the cut scenes. The reason I don't like the ending is that it unwittingly undoes all of that work. The arc should have ended with Ellie making a decision that Joel profoundly disagreed with because it's her bloody life and she can do what she wants with it. As you say, the ending they went for robbed Ellie of her agency and repositioned her as the tragic victim of a bearded white guy. Very good point about the way Ellie evolves mechanically. It's a bit at odds with the siege early on in her chapter, but otherwise it unfolds quite naturally. You're also right about Ellie's arc, although – and here my memory may be betraying me – was Ellie actually a burden at the outset, in a manner other than being imposed on Joel? She got more self-assured and competent as the game bore on, for sure. Yes, that is exactly my issue with the ending, from reaching the Fireflies onwards. I was told during our 2013 round-up podcast that actually, some of the audio recordings retroactively vindicate Joel's actions, but even so that doesn't excuse both Joel and the Fireflies failing to recognise and treat Ellie as a human being. With the Fireflies you could almost expect it – a harsh world produces cruel people, is what TLoU suggests – but I thought Joel had developed genuine respect for Ellie. Apparently not. I recall Alexander's article – it definitely fed into my thoughts about TLoU and its paternalist conclusion. Interestingly I'd say The Walking Dead avoids a similar conclusion and actually sets up the daughter-figure as the hero/protagonist in her own right (I've not played Season 2 or the summer game as yet, though). This despite Clementine being a less brave, tough character than Ellie (well, Clem remembers the time before the apocalypse, after all). Brooker and Elizabeth from Infinite… not even gonna go there. It's tough to say I guess. Especially with Tomb Raider being considered a failure on the basis that it didn't meet its ludicrous sales projections. Regarding Titanfall, I actually think it's good for a game like that to jettison narrative beyond a loose framing device (empire, rebels, big robots, fight) as it's clearly built as a multiplayer experience and a traditional narrative only detracts from something like that. One of the better examples of a multiplayer game that I still think manages to tell a bit of a story is Hawken, with its evocative post-megaindustrial landscapes. Its aesthetics and environment suggest without committing to anything, and that's great for a game that really is all about competition and combat. Re. my original filmic narrative comment – I would like to see more games that told stories as games, rather than as games with bits of film tucked in the intermissions. But I think my optimism around this was temporarily buoyed by a lengthy session with Dark Souls. On the back of this Article I bought Remember Me on a sale and I am really struggling with it, in fact I think falls short in every way that The Last of Us does except that its story (other than the rather brilliant memory hacking sections) falls horribly short. Each area is broken up very distinctly between each type of gamplay: Platforming, fighting, exploring, hacking. By 'distinctly' I mean that it is sign posted by a forced cut scene or a hand-holding pseudo-tutorial (this might get better but after 2 hours of playing I am not very hopeful). It has no flow and there are far too many moment where I am bored. The platforming falls into the Enslaved/Uncharted category – it is utterly pointless and might as well be 'Press A to win' in most parts as there is no real challenge to it and no real sense of danger. It give no real sense of scale either and it largely exists to funnel you from one place to the next. The combat is clumsy and reminds me of Aeon Flux as you press each button in a tedious, simon says manner with there being none of the flow of even the Batman games (the combat was repetitive but at least it felt fluid). It is also been done a million times before with only the 'innovative' part being the attributes of the attack but the animations are the same canned ones not matter what you choose, this comes with the same clumsyness that these western designed fighters often have that means that I didn't really feel involved at all. The exploring is as dull as the exploring in The Last of Us but I felt infinitely more constrained and on rails in Remember Me than Last of Us. The hacking parts are actually brilliant, the first one I played was utterly horrifying by the time you resolve it. The outcome has actually haunted me for the last week. I still haven't beat Remember Me and I don't know that I will – I might have to see if I can knock it down to medium as the first big boss fight is irritating on the harder difficulties (his tells are poor and hard to read and then they do devastating amounts of damage). Last of Us had none of this because despite its limitations (of which almost all of them are mechanical) there was just enough carrot to keep me going. The combat gets a little better once you unlock more moves and face more varied opposition, but it's not exactly Arkham. The platforming will continue to be hitting buttons at prompts. It's mostly just waste of time. The memory mixing segments are the clear high points of the game. There are exactly three of them.